Maple solids with cherry veneers. 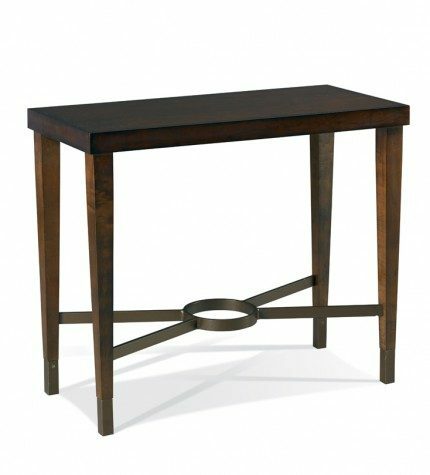 Its unique size provides a variety of functions from end table to casual bedside table. Available in any Custom Finish and accented by a metal stretcher and ferrules in a bronze tone.